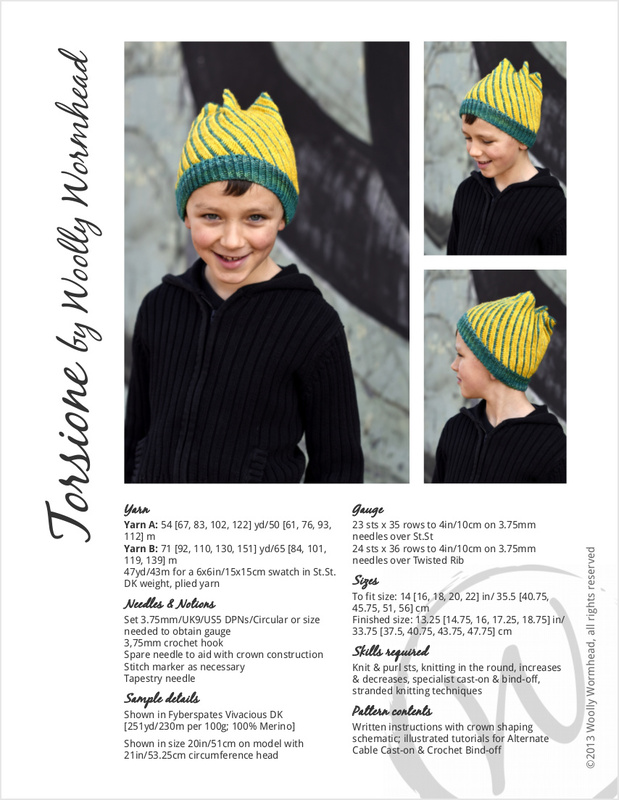 Torsione is a stranded colourwork Hat, knitted on the bias. 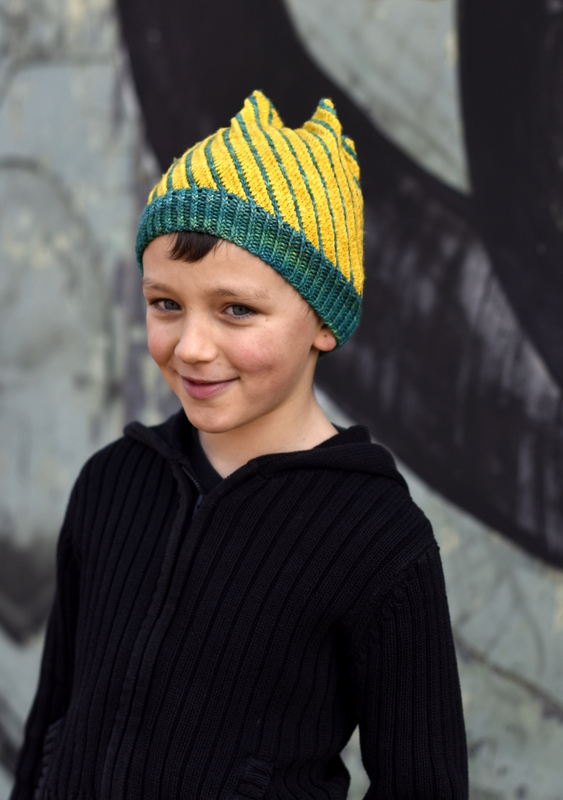 The tension between the stitches created by the stitch pattern are highlighted by the colours to great effect. It is also surprisingly simple to knit! Pattern is worked in the round from the bottom up and includes 5 sizes, covering newborns through to adults. 47yd/43m for a 6x6in/15x15cm swatch in St.St.